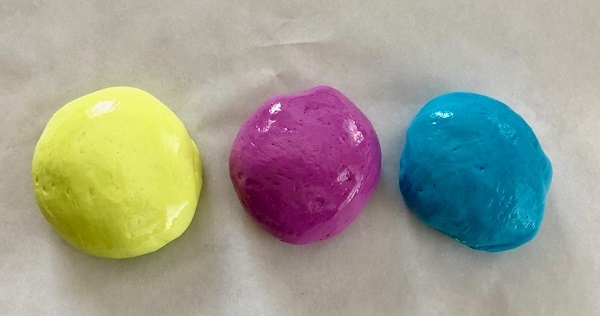 Kids will love making play dough with their own hands. 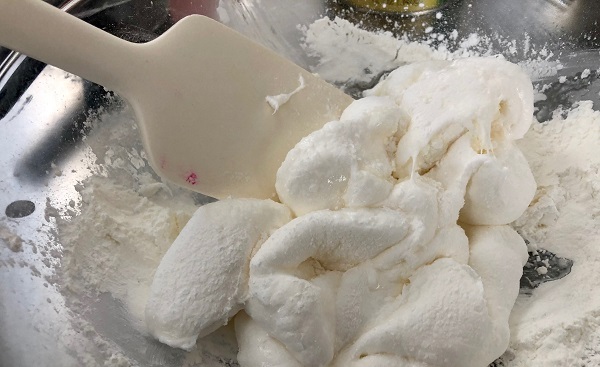 Our Microwave Marshmallow Play Dough smells good enough to eat. Luckily, it’s perfectly edible for kids who can’t resist the sweet coconut scent. 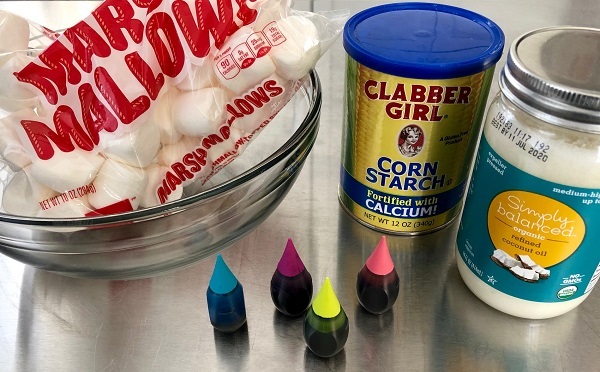 This Maker Monday project uses just four ingredients and comes together quickly for a fun afternoon activity. Store in a tight container for up to a week. 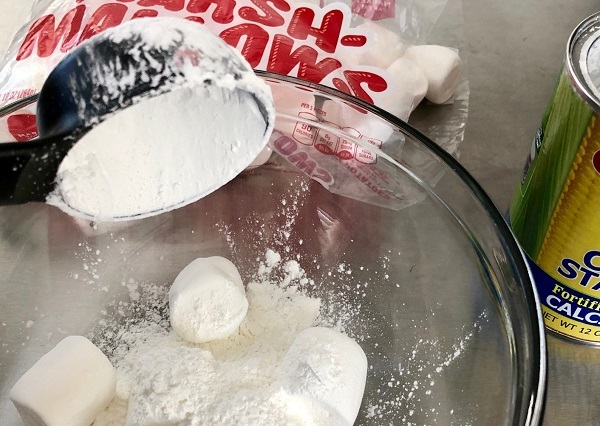 Place 6 marshmallows in a microwave-safe bowl. Have kids count them as they add them to the bowl. 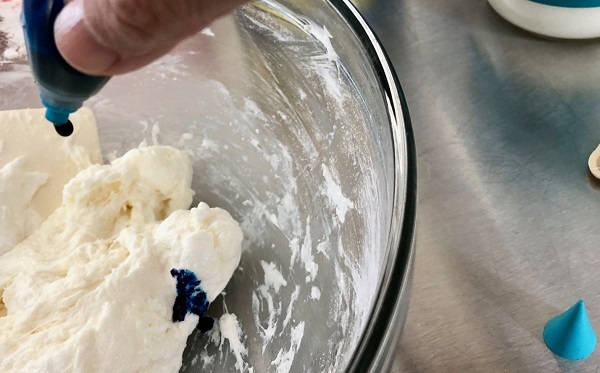 They can measure the 1/4 cup corn starch and 1 tablespoon coconut oil and add it to the bowl. Microwave for 30 seconds. The marshmallows will puff up. 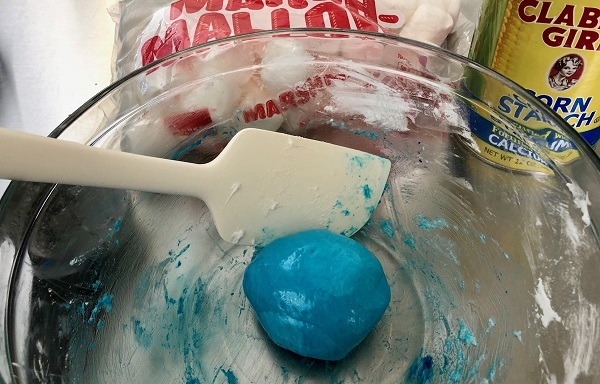 Stir the ingredients together, mashing the marshmallows with the coconut oil and corn starch. Once the ingredients are mixed, add about 4 drops of food coloring and continue mixing. Coat hands with coconut oil and continue to mix by hand, kneading, stretching and turning the dough until the color is uniform. Be sure to check the temperature before handing the dough over to the kids to knead. 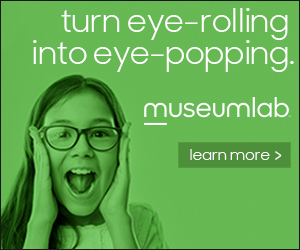 Turn the dough onto your play surface. We used a cookie sheet lined with parchment paper or you can use a silicone mat. Wash the bowl and repeat with additional colors. 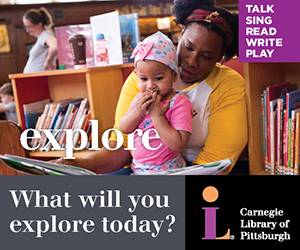 Now, it’s time to play! The dough can be sticky, so smooth hands with coconut oil for best results. The dough stiffens as it cools, making it perfectly stretchy and rollable.